We often assume that as we age we will have house payments and car payments for the rest of our lives. But if you plan now and stick with it you too can be mortgage free. Retire planning should begin when you start your first job. However, most of us procrastinate on this vitality important activity. In turn, some homeowners would like to have their home paid for by the time they retire so they are saddled with a large recurring expense when they are no longer working a steady job. Here is where the planning comes into play; if you make regular principal contributions in addition to your monthly payments, your mortgage can be eliminated by the time you retire. For example, if you refinanced your $300,000 mortgage at 4 percent last year for another 30 years making your first payment on May 2, 2017. Using normal mortgage amortization, your home would be fully paid at the end of the loan term. 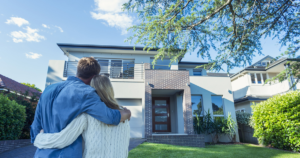 Making additional principal contributions with your monthly payment will save you interest, build your equity faster and accelerate paying off your home. Adding an extra $250.00 a month will pay off the mortgage 7.5 years earlier. If you are really ambitious, an extra $786.81 would pay if off in 15 years. Having no house payment at retirement is a huge benefit. But having a debt-free home creates a substantial asset which you can borrow against or sell if the need should arise.